Softness has increased in importance recently. People, things, colours, and feelings are characterized as soft and it has become a trait that we crave. A light, sky blue is commonly used when creating a ~soft aesthetic ~ or a person’s tenderness – whether in action or speech – is also soft. Ultimately it’s about being surrounded by gentleness in a world that is becoming more harsh. Softness is about feeling safe. The split release from GRHMBVRL (Graham Beverley) and Xiao Xuan (Sherry Huang) is cozy. Though their ambient creations are distinct, both Beverley and Huang draw from a similarly plush palette to envelope you with soft sounds and making you feel secure – it’s akin to putting on your favourite sweater. We also get a glimpse of how Beverley and Huang respectively distill feelings and characterize temporal concerns. On the first half of the split, we slip into Beverley’s mind. Through semi-improvised guitar picking and looping, Beverley “seeks to comfort the anxieties of the wage labourer under capitalist decay.” The web of gentle guitar sounds that he spins is intricate. Each plucked guitar loop represents another of life’s daily stresses and yet Beverley arranges them in a way that it all seems manageable. The calming forward motion of “Took Off” gives you the feeling that you are in control and the rippling notes of “Esquisse” remind you to breath in and out the way the ocean does. The second half of the release is Xiao Xuan’s world. Huang welcomes you with a brief spoken word intro in which she grapples with the pain of loneliness. 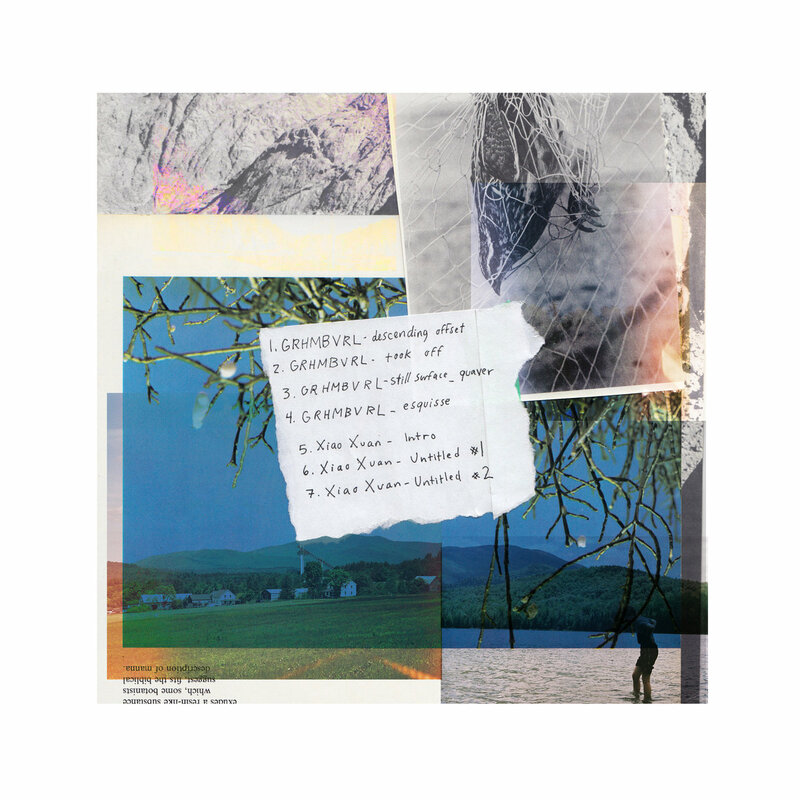 From there Huang shares two six minute long pieces (“Untitled #1″ and “Untitled #2”) made from reverberating guitar notes and indistinct vocals. In contrast to Beverley’s side, Huang’s is starker. Although the notes eventually bleed together, each pluck feel like an individual hoping their cries will echo loud enough that somebody hears them and reaches out to forge a connection.